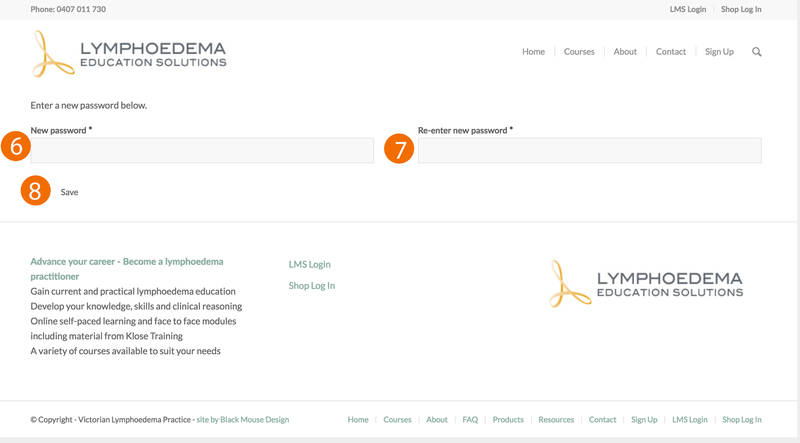 Maree O’Connor the Director of Lymphoedema Education Solutions not only has been training lymphoedema practitioners since 1994 but is a practicing Physiotherapist / Lymphoedema Practitioner who shares her 24 years + clinical experience in lymphoedema management with course participants. A dedicated online Learning Management System that can incorporate other international education online courses such as Klose Training. The flexibility to start your education online at your own pace so that you gain the most from the face to face experience. 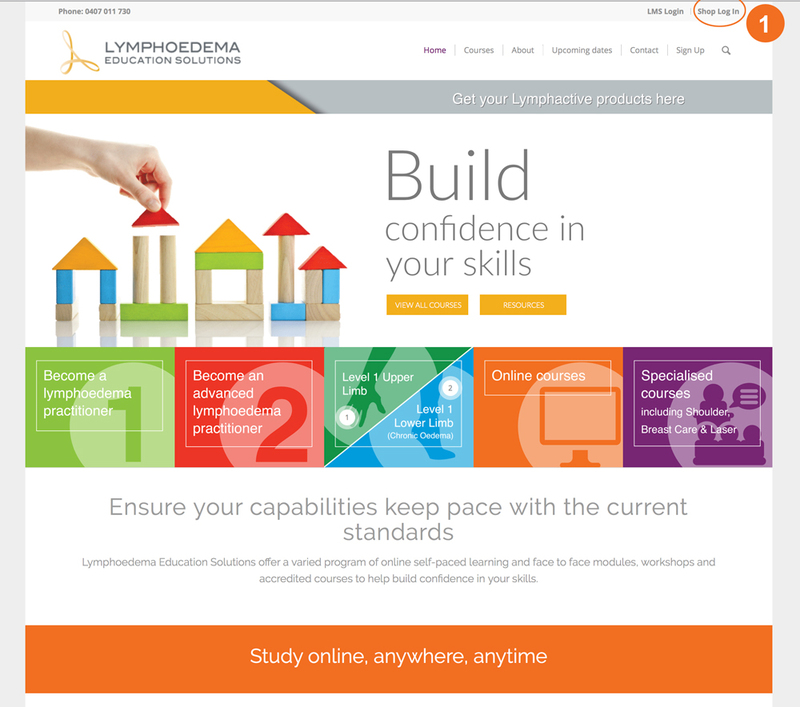 Level 1 and Level 2 Lymphoedema courses are endorsed by the Australasian Lymphology Association. 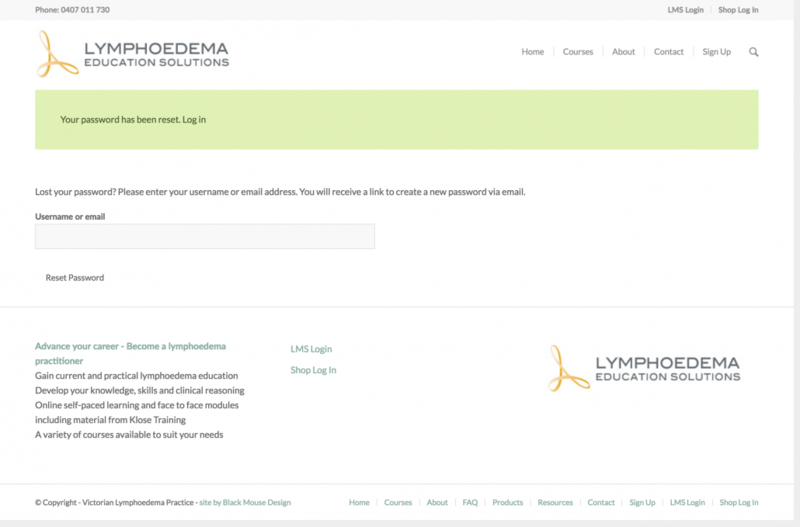 Successful completion enables the course participant to be eligible to register on the National Lymphoedema Practitioners register. 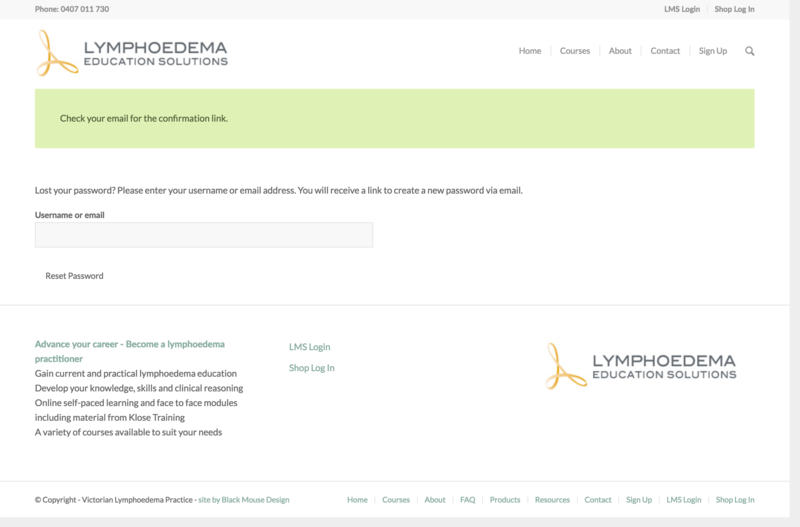 Lymphoedemaeducation.com has been designed to make it easy for your to find and order courses easily. To find current courses, use the menu or search bar at the top of the page. Fill in the REGISTRATION form then click the REGISTER button. 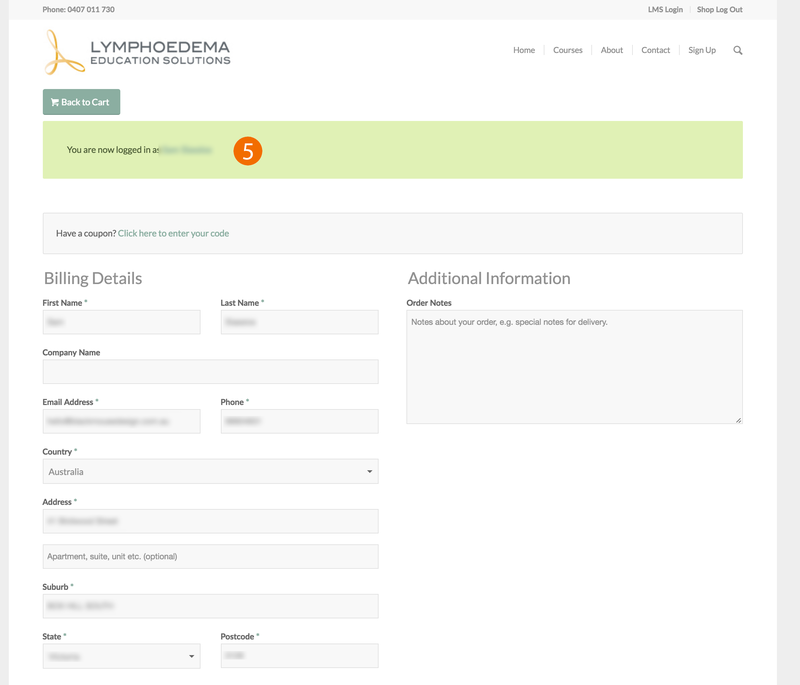 Once you have completed and submitted the registration page you will receive an email confirming your registration details and information regarding payment due date/s. 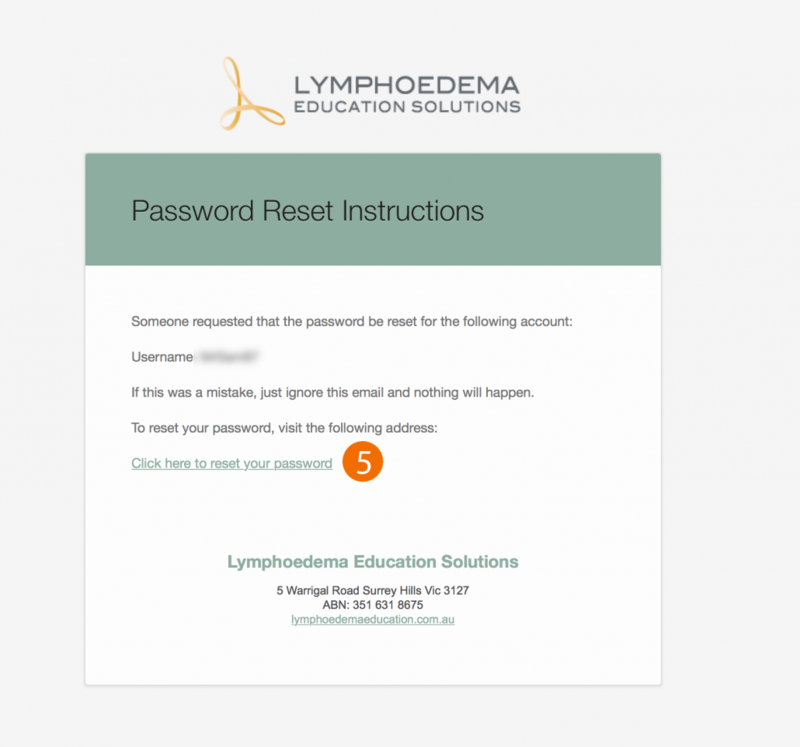 If you do not receive this email, please contact info@lymphoedemaeducation.com.au as we may not have received your details. To secure a place a deposit must be received according to the dates specified in the registration form. Notification of cancellations must be received in writing. Please refer to the Course Payment and Refunds section in the course registration form for further information. Please ensure that you enter a valid e-mail address on your registration form as all order information and payment notification/s will be sent to this address. 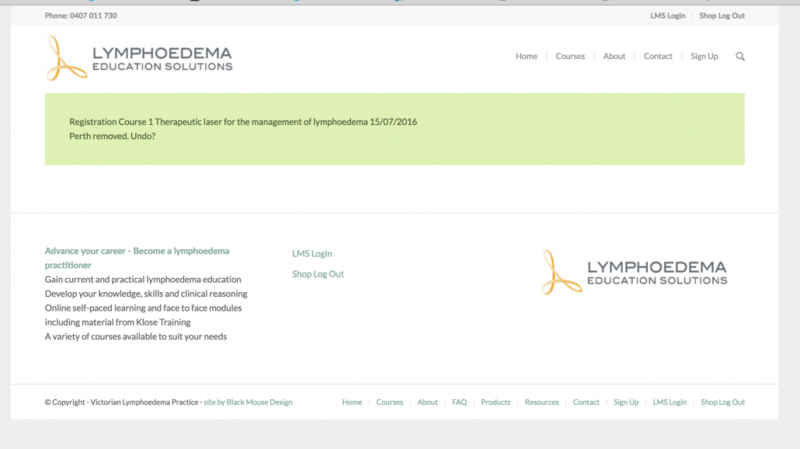 Lymphoedema Educations Solutions receives support from third party organisations that are relevant to the course material. All third party resources are for the sole use of developing course materials and the delivery of course workshops. 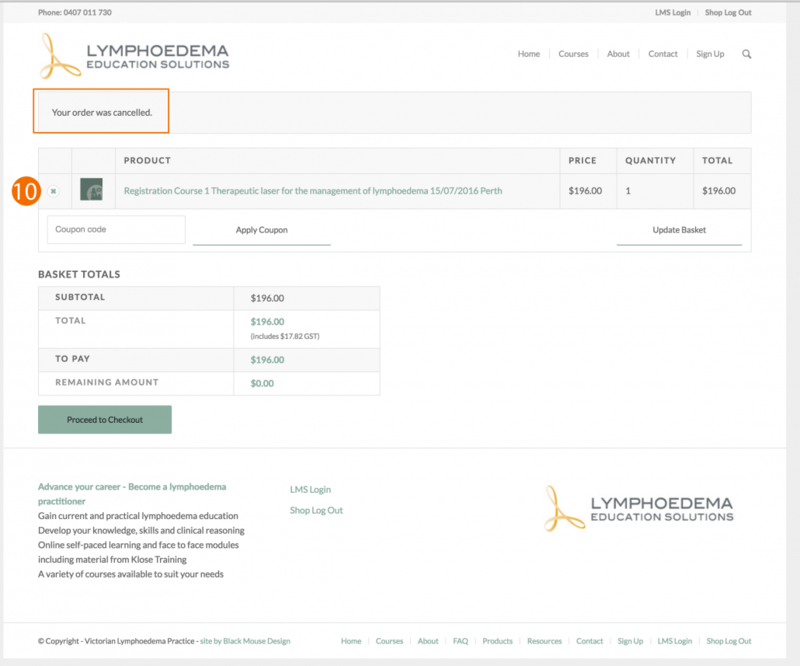 Third-party contributions are intended to enhance the learning experience. No LES representative shall endorse third party organisations while writing or conducting courses for the purpose of personal profit or other benefit. The success of a learning event does not depend on the contribution of the third party. 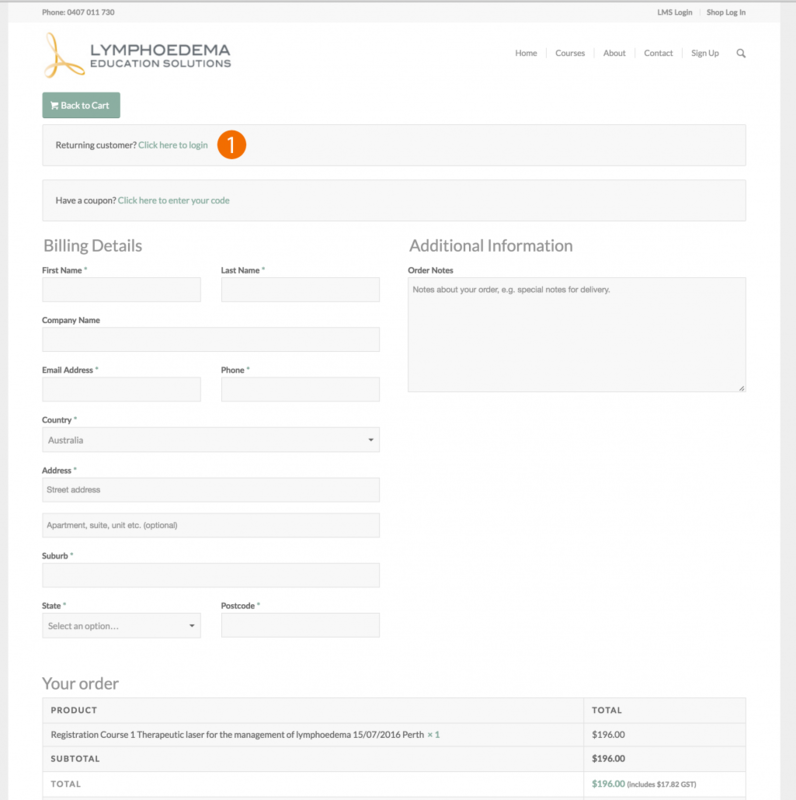 If you have purchased on lymphoedemaeduction.com.au before, please follow the following the following steps. 5. Your will then be directed to a screen with your account details. 7. 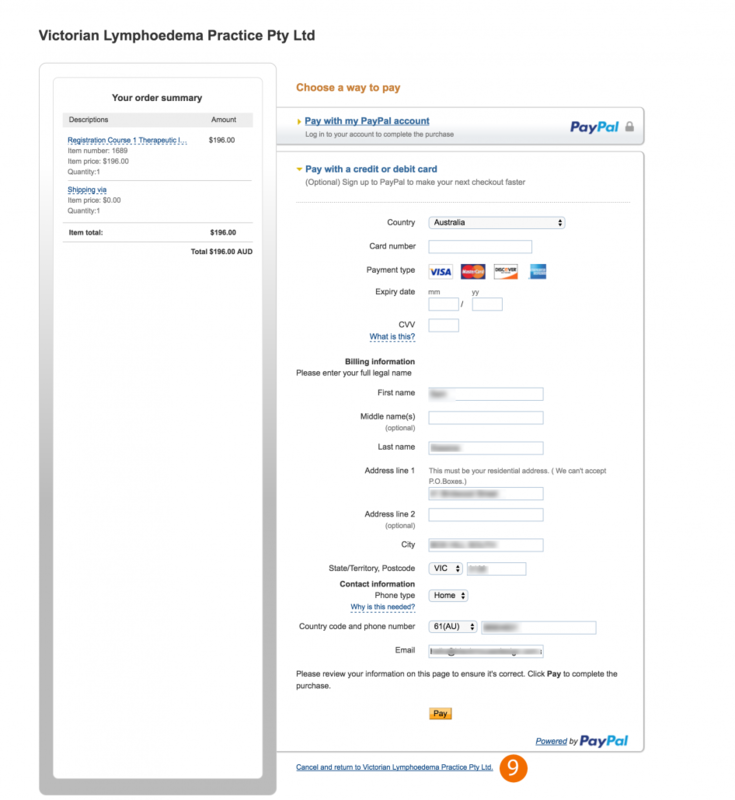 The Paypal payment widow will open, prompting you to enter your payment details. You will see a message to confirm you have successfully removed the item from your shopping cart. 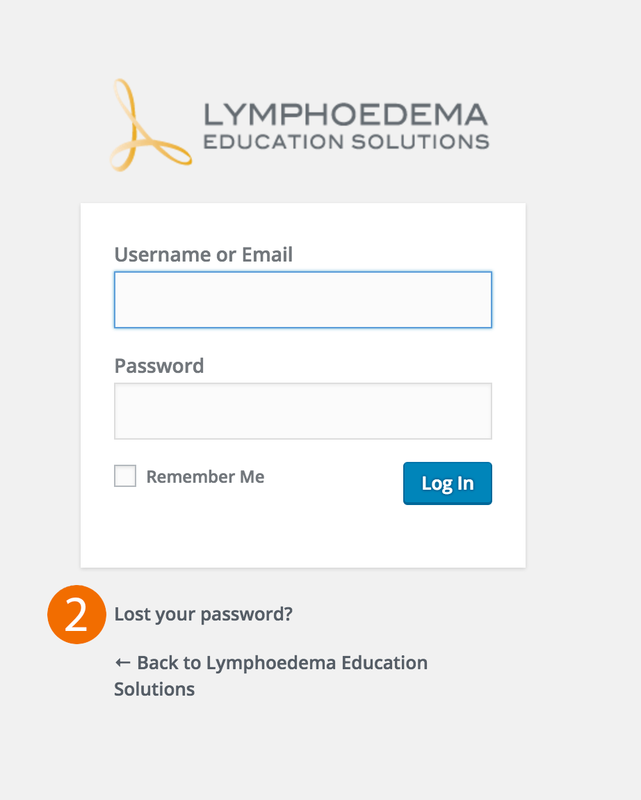 If you are having trouble logging in to your account to make a purchase at lymphoedemaeduction.com.au, try resetting your password by following the following steps. 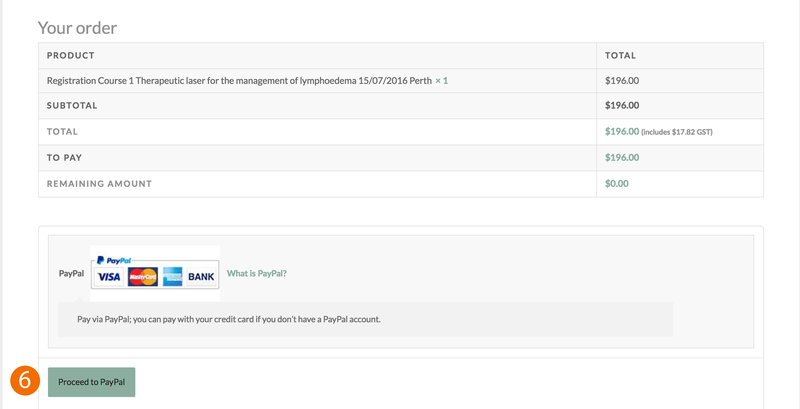 Please note that a percentage of the course fees is non-refundable to cover administration costs. 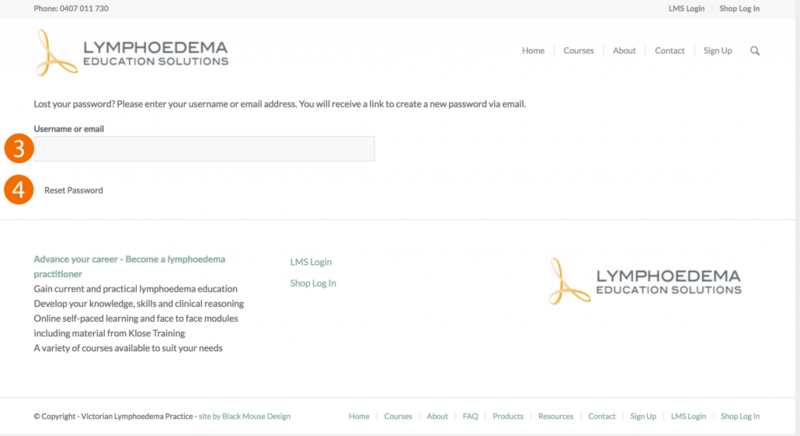 Please refer to the Lymphoedema Education Solutions Participant Agreement Terms and Conditions on the course registration pages for the specified amount.